Construction bog calls are monitored 24 hours a day, 7 days a week, including weekends and holidays. If the red warning light is on, or the alarm is sounding, or there is an audible noise coming from the unit, please call! Follow the voice prompts. System operators will respond to your message. DO NOT send email requests for service. 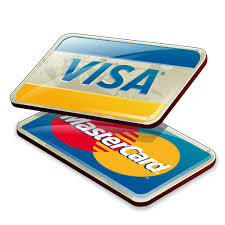 Credit Card Payments: Tyrone Township accepts VISA, Master Card, Discover, and American Express. Tax and utility payments may be paid online here. Other types of services-- dog licenses, permits, address signs, etc.-- may be paid by credit card at the township office. Please note a fee of 3% or a minimum of $2.00 applies. Upon request, we can provide the total amount of your payment including the convenience fee. If you don't want to pay the convenience fee, please do not complete your transaction with a card.